Dr Mark Seton is an Honorary Research Associate (Department of Performance Studies) at The University of Sydney, Australia. 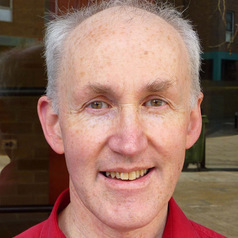 His research interests include the psychological wellbeing of performing artists, ethical teaching and research practices in Higher Education Creative and Performing Arts, and discourses of spirituality. He was awarded a Churchill Fellowship to research actor health and wellbeing in training and in the workplace in the UK and Northern Island in 2009. From this, he was invited to partner with Equity (with colleagues of The University of Sydney) to initiate a national Actors Wellbeing Survey in 2013. Alongside membership of the Editorial Board of the “Journal of Applied Arts and Health”, Mark is Chair of the Human Research Ethics Committee for the Australian College of Theology and is Vice President of the Australian Society for Performing Arts Healthcare.